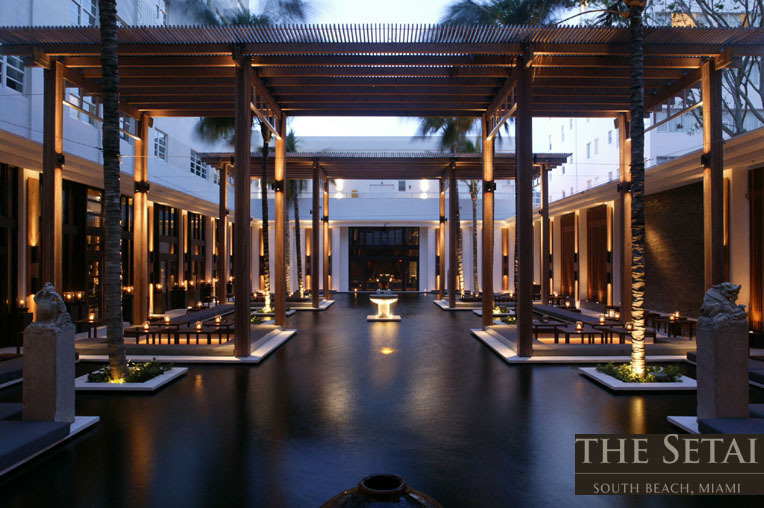 In 2005 Hotelier Adrian Zecha and designer Jean-Michel Gathy of Denniston International Architects collaborated in bringing to life the swanky Setai Hotel in Miami Beach, FL. This week I had the pleasure of revisiting the hotel as our firm is working on the interior design of one of the residential penthouses. As I was waiting in the hotel lobby I observed the multitude of materials that refer back to Asian architecture. 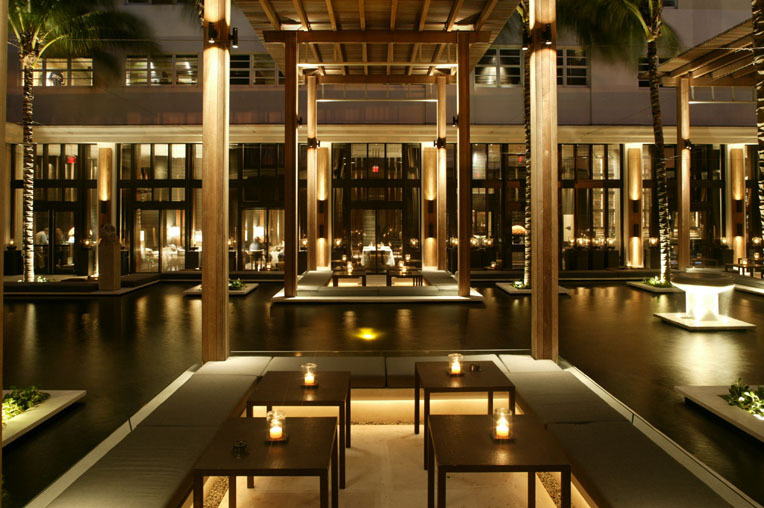 The weathered black pavers on the floors are reminiscent of Chinese roads. The rhythm in the wooden panels reminded me of the proportions of screens in Japanese temples. The play of what is seen and what is hidden behind intricately carved wooden panels and a sensual lighting (even at 11:30 AM) help establish that mysterious silence which is so characteristic of Asian architecture. I was so absorbed by that 15 minute experience that I felt the need to come home and find the drawings and photos of the project to study it at a closer glance! If you’re not familiar with the project then prepare to be delighted. If you are, take one more look! I promise it’ll be worth your while!